BEING WHO JESUS CREATED US TO BE. Missed a service? Listen to the audio Recording. NEXT Christian Community is a church gathering in St. Albert. We offer an intimate setting for learning to be who Jesus created you to be. NEXT has officially moved to Red Willow Community Church. 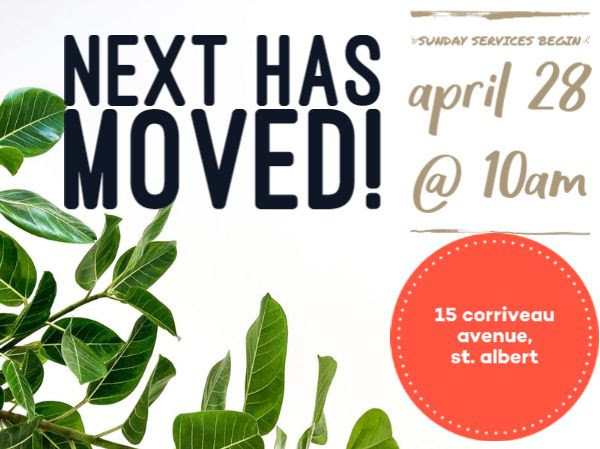 Our first Sunday service at our new space will be April 28, 2019 at 10 a.m. It will be the same Christian community in a new location. NEXT Christian Community and Red Willow Seventh-day Adventist Church are both evangelically oriented Christian churches who share many of the same values. 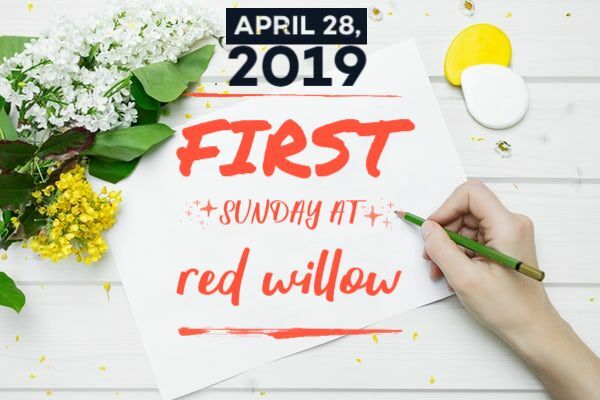 Red Willow Community Church is a Seventh-day Adventist Church. They hold their weekly services on Saturdays, which leaves the space available to NEXT to rent and hold weekly services on Sunday mornings. NEXT found that it was no longer fiscally responsible to remain in the Village Landing facility. The move to Red Willow provided an opportunity to continue ministry in the community while being better stewards of our resources. It also provided a space that is accessible for people with mobility challenges. NEXT Christian Community has appreciated the opportunity to serve St. Albert as a community centre by providing inexpensive access to space for support and recovery groups and party rentals from Village Landing location. We endeavour to remain a staple of the community and continue our community involvement from this new location. We don’t run a lot of formal programs at NEXT, so sign up for weekly email updates to stay in touch and take part in our community during the week.